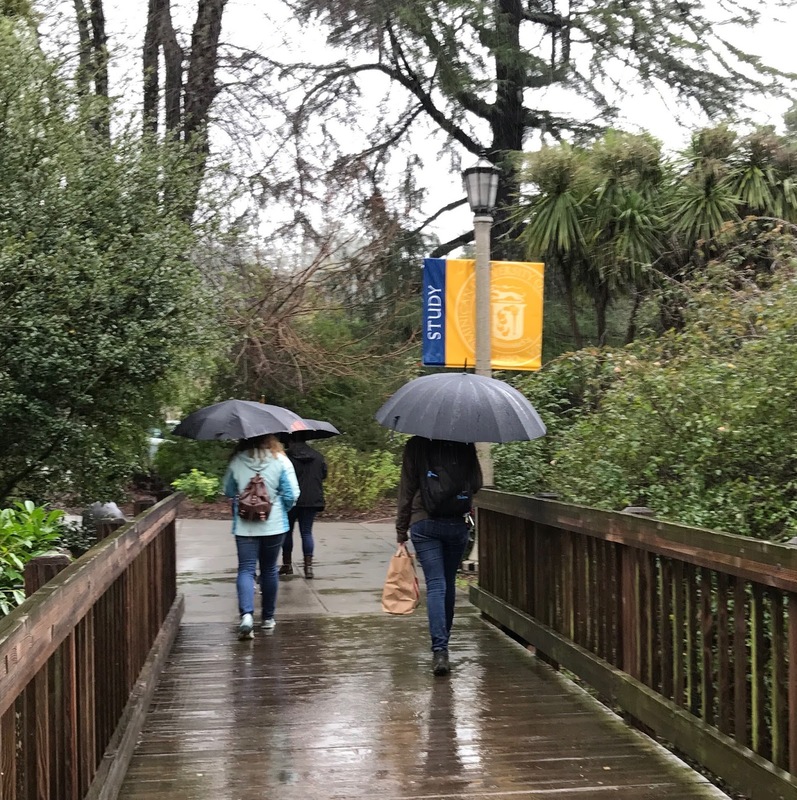 Last month in the midst of February rainstorms a few colleagues drove to San Rafael for a tour of Dominican University. 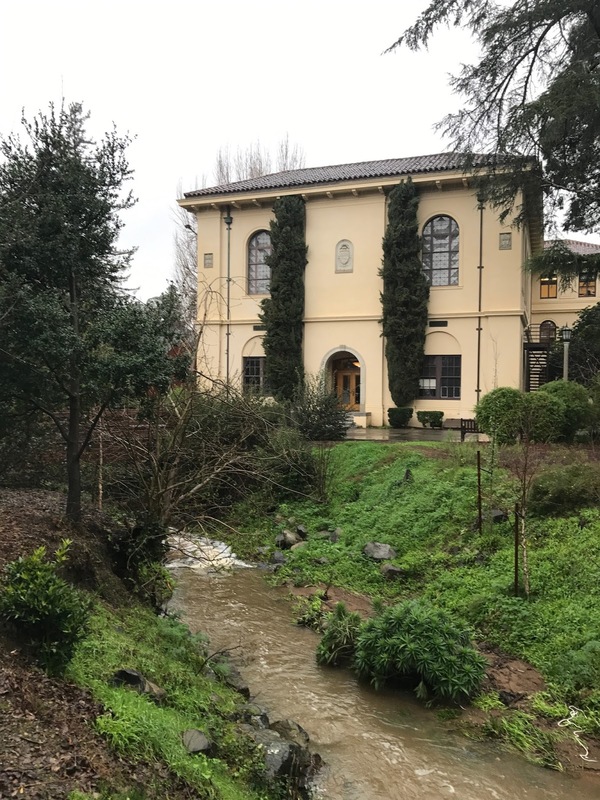 This small, Catholic heritage school of only 1800 students nonetheless offers excellent options for students interested in education, health careers, dance or business. Dominican is well known for its direct entry nursing program that begins either in fall or spring semesters. It boasts a high pass rate for nursing boards of 84-89% and offers financial aid as well as scholarships to well qualified students. In addition to nursing, there is a 4 +1 Occupational Therapy program and a new Physician’s Assistant program is opening soon. The university has invested heavily in labs and facilities for its health programs—these are worth viewing during a campus tour. Other popular 4 +1 masters programs include business and education. Elementary education/liberal studies majors can earn a credential within 4 years or stay another year either for a masters or a special education credential. Secondary education students often take 5 years to complete their degree and credential. Overall, the dance program is Dominican’s most competitive and specialized. The school is affiliated with Alonzo Lines and dance majors—only about 15 are admitted each year—take a daily bus to San Francisco for training. While on campus, we toured the usual buildings—classrooms, the student center, library and ate lunch at the cafeteria. The students and the atmosphere appeared friendly and approachable. The Spanish style architecture is appealing. Our guide did confess that on-campus housing is below par and weekend social life is pretty quiet. Our guide emphasize, however, that she loved the close knit community at Dominican and felt it was providing great opportunities both for learning and extra-curricular life. We met with an associate admissions dean who described other “gems” of the school: a robuts study abroad program in which 6-8 faculty members lead programs annually, internships for all students, integrative advising that exposes students both to academic and professional advisors, and a thesis requirement for all majors. 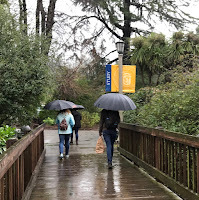 We left campus a little soggy for our tour in the rain but felt we had discovered a local liberal arts school well worth consideration—especially for students interested in the programs highlighted above.